Our team at DP&L Golf has worked in both the travel and golf travel business for more than 50 years of combined experience and brings a wealth of experience and knowledge with them to best service you and your travel requirements. The newest member of our team. Matthew hails from Northern Ireland and is a very keen golfer, playing off a handicap of 9. He joins the business with a degree in Economics and Marketing with the aim of pushing our social media footprint as well being fully trained in all aspects of the business. 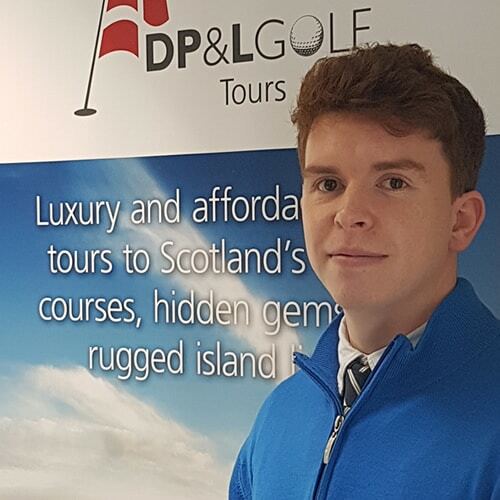 With over 25 years’ experience within the leisure and corporate travel business, all loyally spent within the DP&L Group, as well as a very keen golfer playing off a handicap of 5, Paul leads our golf team and would be your main point of contact for all enquiries and contract discussions. He brings with him the time management and attention to detail required to run a successful corporate travel department into our Golf Tours business, ensuring you of a high standard of service at all times. 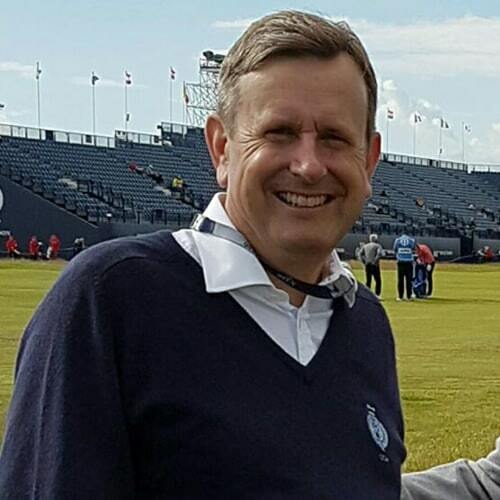 Alick, who is steeped in Scottish Golf with over 50 years playing and industry experience, believes that through the delivery of value golf packages DP&L Golf can make Scotland accessible for all to come to Scotland to play and enjoy Scotland’s unique and historic golfing experience. Alick has a passion to spread the word that golf in Scotland is not only affordable but accessible to all. 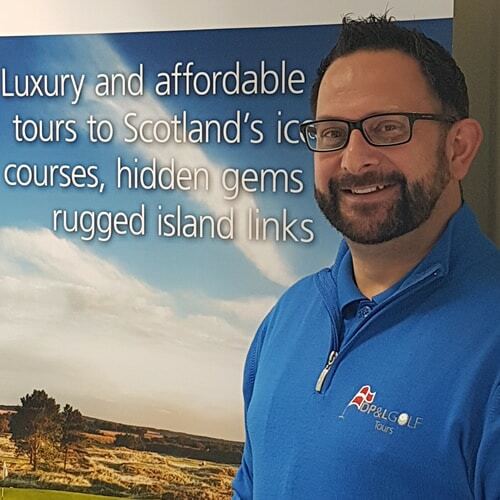 His knowledge of Scotland’s golf courses has allowed us to build packages that truly deliver on our mission statement; “luxury and affordable golf tours to Scotland’s icon courses, hidden gems and rugged island links”.